"Imitation is the highest form of flattery" is a quote that I heartily agree with. When someone goes so far as to copy you then it's not just garden variety admiration - you're already held as a model for his/her self-actualization. I'm not talking about your work here (which may be copied simply out of laziness or dishonesty), I'm talking about the essence of who you are. If you're being imitated then you better recognize what an honor it is! It's similar with beauty products. The best products - usually expensive ones - are copied by drugstore brands because there's a high demand for it. They're desirable yet often unattainable so more affordable alternatives come out. Yay for the free market, eh? 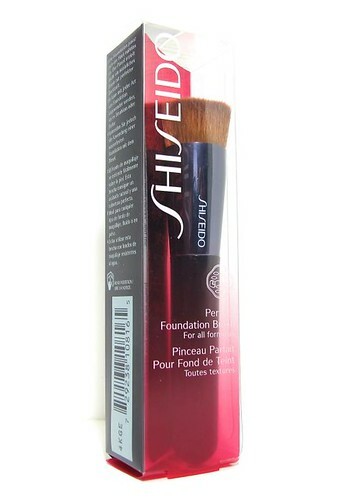 One product that's been copied endlessly is the Shiseido Perfect Foundation Brush (P1,500). Guess why. It's perfect! (As hinted rather heavily by the product name, har har.) 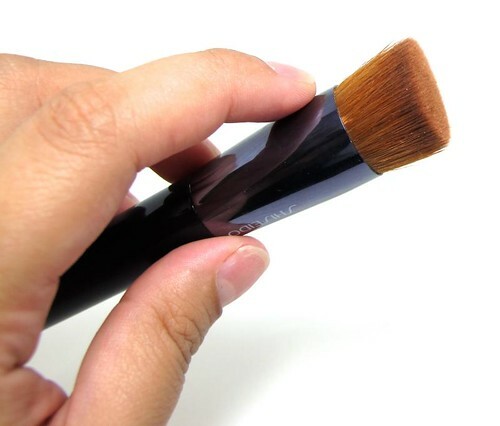 This brush is designed to apply liquid, powder, and cream face products flawlessly. 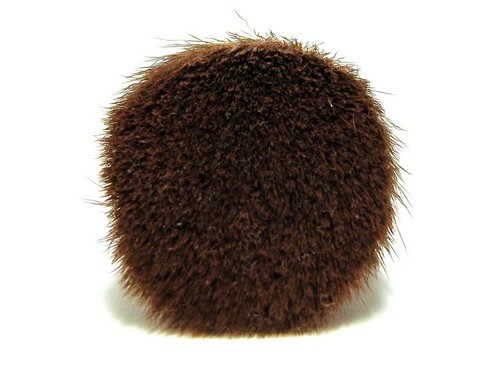 It has soft, synthetic, densely packed bristles that makes application a dream. If you want light coverage then spread out the product in downward strokes; for heavier coverage, simply press/dab the brush on the desired area and then lay off the blending. It's rather small which makes it ideal not just for foundation but for concealer, contour, and blush as well. 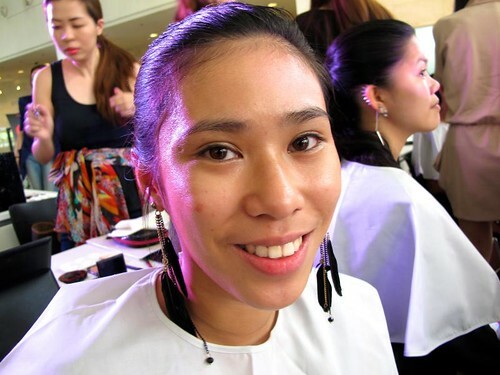 It can cover eyebags, a clump of blemishes, and enhance your cheeks to boot! How awesome is that? This is a true all-in-once face brush! 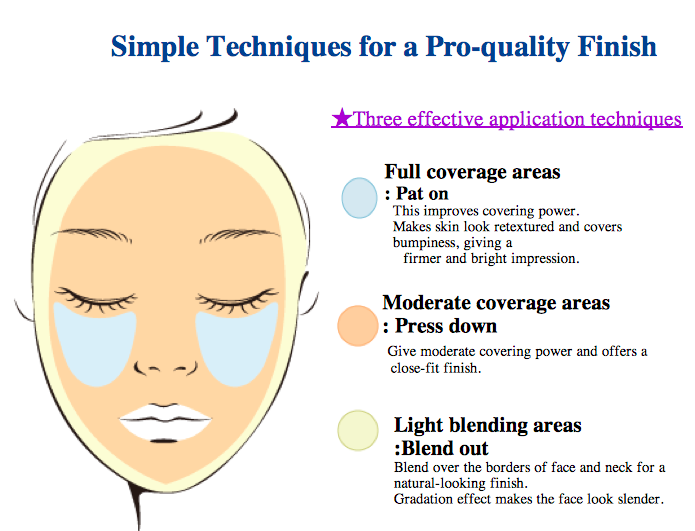 In addition, if I'm using a heavy coverage foundation with this I don't need to use concealer anymore. I just layer foundation on the things I want to conceal and I'm done. Here's my model the first time I tried the Shiseido tool. I applied ALL of her face makeup with only one brush! Primer, liquid foundation (to even out skin and conceal blemishes), loose powder, blush, and contour look pretty good to me. It's the perfect size for anything you want to throw at it, plus it's easy to travel with too. I'm not big on long-handled brushes because I just apply makeup on myself, which means I'm always close to a mirror. And now, for the down side. 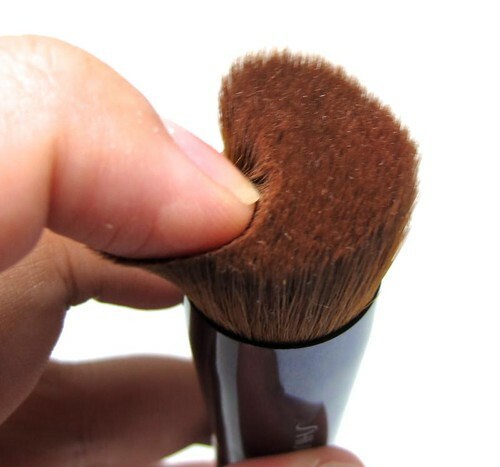 The fact that this Shiseido brush is dense makes it a winner, but this feature is also a bane. It's so dense that it tends to eat up a lot of product! And all that stuff goes straight inside the core of the brush, making it more difficult to clean up. I wouldn't recommend you use water-resistant products with this if you don't have a good brush cleaner. The brush cleaner will dissolve the product build up, but your normal liquid soap/ shampoo will have a hard time. Ehem. Anyway. That setback aside, the Shiseido Perfect Foundation Brush is everything I need in a multi-purpose face brush. It's small, dense, soft, and works flawlessly with all formulations. It's expensive for a brush, but for something you can use with every face product that you have I feel the price is reasonable. Quality is good too so expect it to last for years on end! However, if you don't want to spend P1,500 on a single brush, I believe that The Face Shop has a dupe. It looks the same and it's only P595! I haven't tried it in person so I can't comment on the quality, but it's something to consider. I also saw a super save version in the Landmark Makati Department Store for less than P150. Unfortunately the quality isn't too good so I suggest saving that money for a frappe. Sooo there you go. :) Let me know if you've tried this, and please weigh in if you think it was worth every cent you paid! UPDATE: I finally got to touch the Face Shop brush. It is just as soft as Shiseido's but not as dense or as packed w/ fiber. Meaning it bends when you use it to apply makeup. I think it's the density that makes Shiseido unique and waaay more expensive.